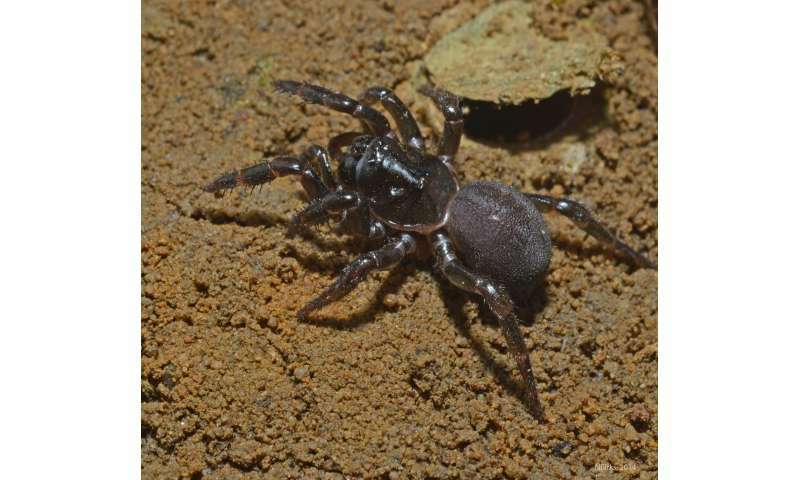 An Australian trapdoor spider, which usually moves no further than a couple of metres from where it was hatched, must have travelled to Australia over the Indian Ocean from South Africa, University of Adelaide research has shown. Found only on Kangaroo Island off the coast of South Australia, the trapdoor spider - Moggridgea rainbow - lives a very sedentary land-based lifestyle. But research published in the journal PLOS ONE today shows the spider belongs to a genus of trapdoor spiders otherwise found only in South Africa. 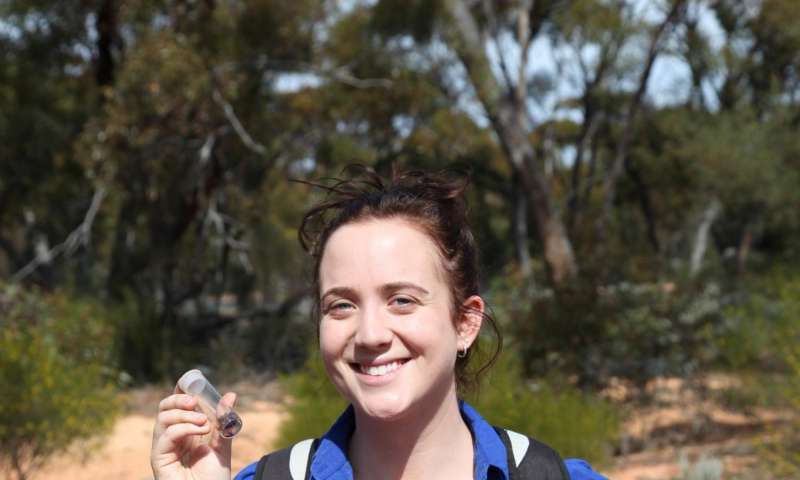 "Conventional wisdom had suggested the spiders became split from their South African relations with the separation of Africa from Gondwana around 95 million years ago," says University of Adelaide PhD candidate Sophie Harrison, who also works as a Natural Resources Officer with the Department of Environment, Water and Natural Resources. "But our research showed that the divergence of M. rainbowi from African Moggridgea trapdoor spiders occurred sometime between two and 16 million years ago, well after the Africa-Gondwana separation. Likewise, the timing of divergence rules out the other alternative theory for the spiders arrival in Australia - that of being transported with humans, who arrived in Australia much later." The remaining and most logical theory of dispersal is long-distance ocean travel across the Indian Ocean from Africa to Australia. "At first thought, this does seem incredible," says Professor Andrew Austin, Ms Harrison's PhD supervisor. "But there are precedents of such ocean travel. Moggridgea are also found on the Comoros volcanic islands, 340 km from mainland Africa, however this is a relatively short distance compared with the 10,000 kms from South Africa to Kangaroo Island." The researchers suggest that a spider colony could have travelled across the oceans on a land 'raft' - a large chunk of land and vegetation washed out to sea. "The burrows they live in are quite stable and they would have been quite secure in their silk-lined tubes with their trapdoors closed - it was probably quite a safe way to travel," says Ms Harrison. To establish the connections between the Kangaroo Island and South African trapdoors the researchers generated DNA sequences from six molecular markers (genes) to compare the Kangaroo Island and South African species, which showed they belong to the same genus. 'Molecular clock' dating technology showed the inter-specific divergence time of 2-16 million years ago with separate populations on Kangaroo Island diverging between 1 and 6 million years ago. The spider is about the size of an Australian 10-cent piece. It lives in banks close to the ocean near American River and Western River on Kangaroo Island. The mother lays her eggs in a burrow and, when the conditions are right, the eggs hatch. The spiders move a couple of metres, set up their own burrows, and stay there for the rest of their lives, lunging out of their trapdoors at night to catch passing prey.